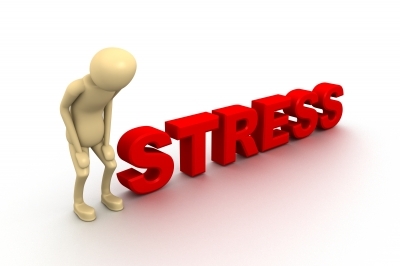 Stress is a demon we all deal with on a near-daily basis. With the cost for employers escalating from $12 billion a year in 2003 compared to over $22 billion today, the numbers prove that the problem is only getting worse. A recent article from the Vancouver Sun discussed a new Canadian study showing that key employees tend to be under the most stress. Frankly, this should be beyond alarming for employers because we’re talking about the top employees that are the driving force of an organization. Underemployment seems to be highest among young Canadians with almost 40% saying they felt they are underutilized. The study was able to closely link feelings of well-being to full time employment – an important observation given the economic climate. Equipping your management team to deal with issues surrounding employee stress is necessary for optimal mental health and efficiency in the workplace. With 1 in 5 Canadian employees dealing with depression or some form of mental health issue, it is more important than ever to have processes to help employees recover. The first step is implementing an Employee Assistance Program (EAP) – a confidential service that offers employees short-term counseling solutions for crisis, anxiety, depression, work-related and home-related issues. Trained professionals can offer referrals to a specialist if the issue is severe enough and requires additional medical attention. It’s not always practical to have management discuss these personal matters since employees might not feel comfortable talking about it with their superiors. EAPs offer a confidential way for employees to seek help for private issues that are affecting them on a psychological level. Most importantly, the workplace should always be a positive and non-judgmental environment where employees can feel safe. Dealing with mental issues like depression and stress in the workplace can amplify the problem and potentially become exponentially worse if handled poorly. For more information on Employee Assistance Programs and employee benefit plan coverage, click here.